"Fawn Forest Lakeside Retreat". From the moment you enter this 3 bedroom + Loft, 2 bathroom arts and crafts style lakefront home, your worries are left behind. Envision a lakefront mountain retreat situated in the foothills of the Blue Ridge Mountains on a crystal clear lake, Bald Mountain Lake. 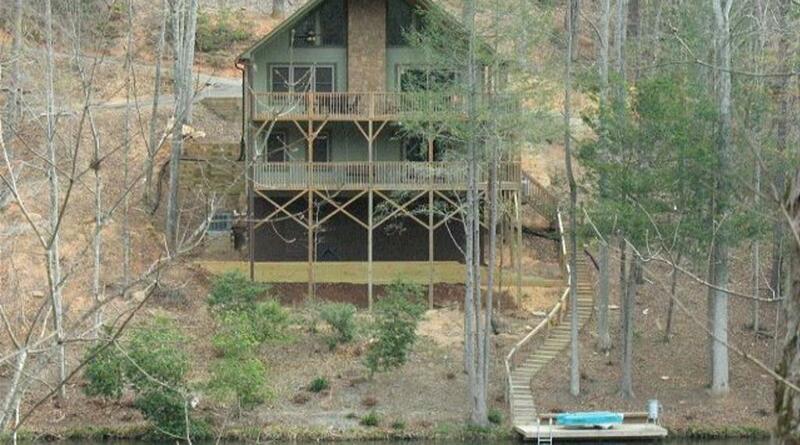 Imagine relaxing on two private covered decks, or from the rustic great room. 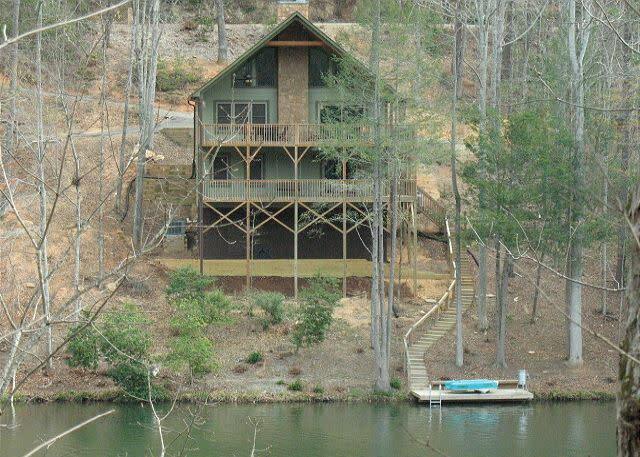 This home has impeccable views of Bald Mountain Lake and Rumbling Bald Mountain; you will want to call Fawn Forest Lakeside Retreat your vacation home year after year. Memories will be made by swimming and fishing in the lake or by taking the paddle boat out for exploring the unique Eco system that is home to this wonderful area. Listen and watch closely you’ll see deer wondering the forest floor, fireflies lighting the night sky, bumble bees humming and the laughter of happy kids. This is what we call the “Mountain Lifestyle” and believe me you will want to make it your own.